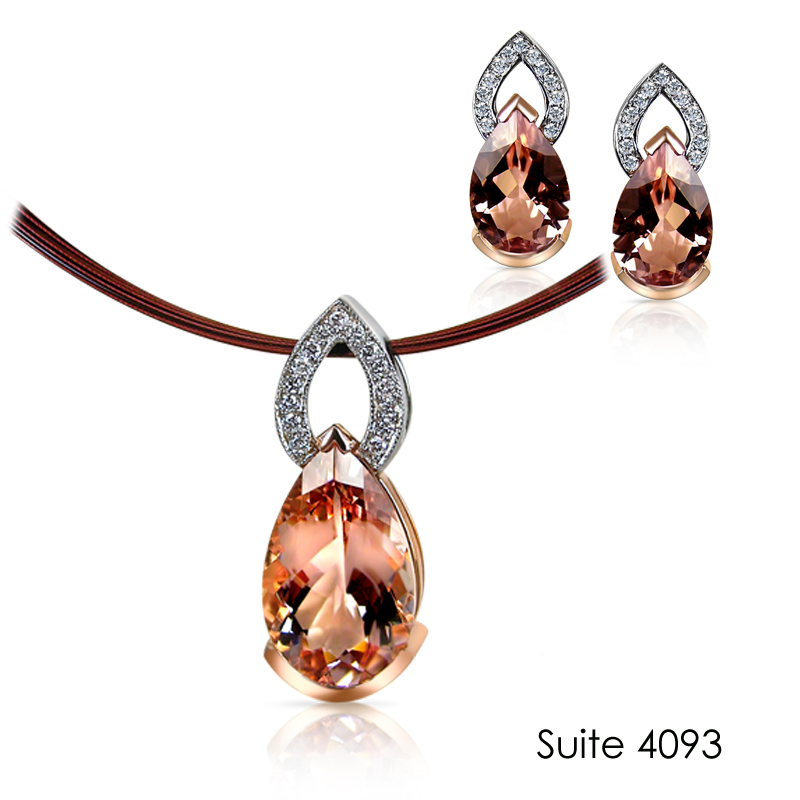 This 14kt Gold suite features a Morganite set, including a Pendant and Earring. The pendant (MP4093WR/MORG) includes a 9ct Pear-Shaped Morganite and 22.5pt Diamond. The earrings (ME4161WR/MORG) include a 3ct Pear-Shaped Morganite and 9.75pt Diamond in each earring.